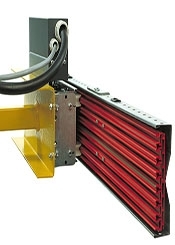 TransTech engineers and manufactures products that provide electricity to moving machines. TransTech has demonstrated expertise in the product groups listed below. 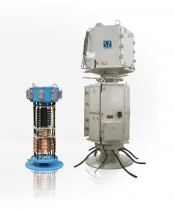 We provide a wide range of products for both transit and industrial electrification. 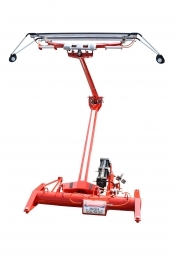 If you have a need to get electricity to a moving machine, please contact us. Our staff of engineers is adept and well equipped to offer solutions to electric power transfer problems. Providing solutions for large amperage draws on heavy-duty cranes or specialty solutions like the St. Louis Arch (up to 12,000 amps). 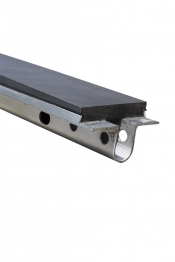 We design and manufacture both the conductor bars and the collectors. We even make the insulators! Difficult requirements and applications are exciting to us. Providing solutions for smaller amperage draws on nearly any application you can think of. We have designed systems for cranes, automated storage and retrieval systems (AS/RS), window washing units, large rotating telescopes, industrial cattle feeding, stage rotation, etc. Unique? Customized? Difficult? Harsh Environment? Bring it on! Providing Stemmann-Technik solutions by TransTech in North America. 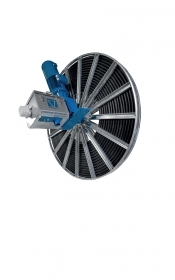 We are proud to offer unique and traditional solutions for providing power in the port, mining, and wind turbine industries through highly calibrated cable reels, slip rings, eRTG systems, and cold ironing. This is an exciting, expanding, and innovative market. Sounds right up our alley! Providing solutions that power trains. Let's face it. This technology has not really changed that much in the past century. Or has it? 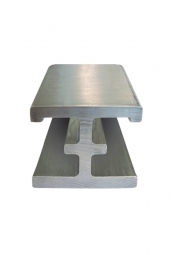 TransTech holds the original design for composite rail from Delta Star, and we have made innovative advances that can increase ampacity and reduce the number of charging stations needed on new builds . . . all without reducing the wear life of the rail. 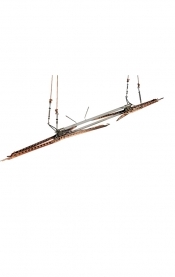 As for overhead catenary systems, TransTech is proud to offer the Arthur Flury components here in North America. We're open to new ideas for powering mass transit, so if you want us to work with you on new technology, we're in! Providing solutions to collect power onto the train. 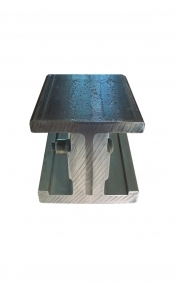 We design and manufacture pantographs, third-rail shoe gear, and ground return units. 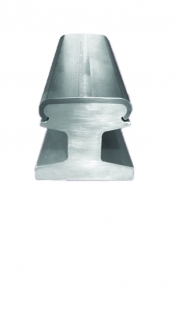 We have experience with light rail, heavy rail, street car and high speed applications. Because we are a Fandstan Electric Company, we can leverage technology from the most well respected names in the industry – like Brecknell-Willis and Stemmann-Technik – while innovating to meet nearly any need. Did I mention we're Buy America compliant?